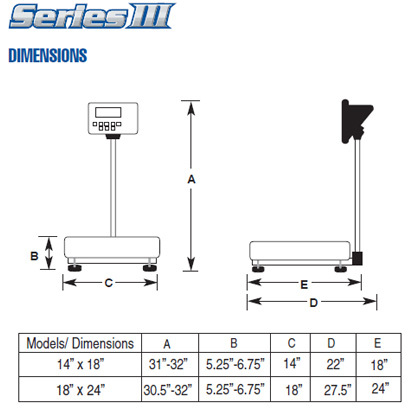 The Series III Bench Scale features an internal, rechargeable battery which makes it an optimum choice for outdoor produce weighing applications. 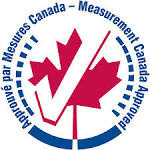 It is also a heavyweight in industrial settings with its heavy-duty, double tubular, base design, industrial-size stainless steel platforms, and RS232 printer port.Like its sister scale, the Series II, the Series III can fulfill many weighing requirements and offers the accuracy and dependability that has stood behind every Fairbanks Scale since the companys founding in 1830. A 6-digit LCD display with large numeric readout and back lighting makes viewing easy in low light. Eight programmable buttons: Units, Zero, Tare, Function, Number of Parts, On, Off, Print. An RS232 port for quick printer connection is a standard feature. Industrial stainless steel platforms are easy to remove for sanitation. Welded, double tubular base for strength and durability. Fully-charged battery provides more than 48 hours of continuous use! Indicator has 75 degree tilt for operator viewing flexibility. Blue, protective liner can be removed for total stainless surface. Load cell designed for premium performance. 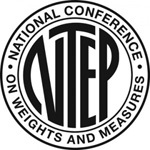 The Series II & Series III Bench Scales are NTEP and MC* approved for legal trade in the U.S and Canada.